Turn your Assets into Cash in 30 Days or Less. Time is money and the quickest way to convert what you own into immediate cash is partnering with Accelerated Auction Solutions. 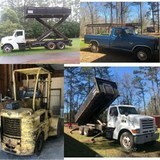 We conduct Live and Online Auctions with the flexibility of conducting the event at your location or at our facility. It’s always smart to have more than one bid when selling an item of value. Your bargaining power is much higher and it’s easier to achieve the best price possible when negotiating with many buyers at once rather than the one on one scenario typical of a private sale. The idea that Auction is always the last resort simply isn’t true. Many times it is more logical to move assets quickly and cut down on carrying cost such as insurance, storage, utility bills and taxes. We conduct a confidential free evaluation of your assets and provide you with a project proposal. Then the Auction set-up begins. The majority of the work that goes into making a successful auction happens at this time. Assets are inventoried, tagged and cataloged. Property that is organized and properly displayed always brings more money. Our experienced auction staff custom designs a unique marketing plan to meet the individual needs of every client. Our innovative marketing approach uses the latest in technology to produce an event that will bring qualified buyers and sellers together. From the day the auction contract is signed until the day we issue a closing statement and hand you a check, our team of experienced Auctioneers are dedicated to getting the job done right. Please contact us with any questions or to get more information on the benefits of the auction method.